Thanks to SooFoo fan Paula who sent us this wonderful recipe! Try something a little different with her Greek SooFoo Stuffed Chicken Breast. She said it tastes wonderful and we’re jealous we didn’t get to eat them with her. This is definitely on our to-eat list! Spray a baking dish with non-stick spray, and preheat the oven to 350 degrees. Place butter and garlic in a microwavable dish and heat until just melted, set aside. Season the prepared SooFoo with half of the Greek seasoning. 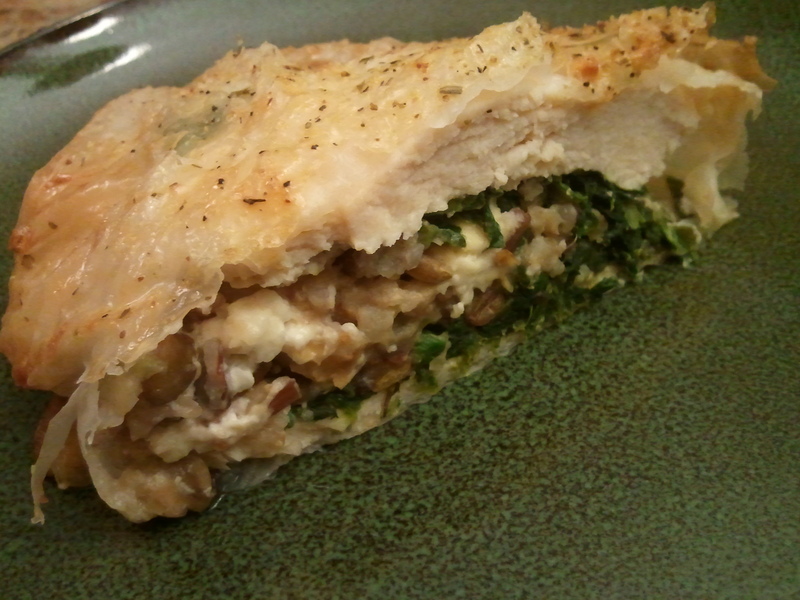 On one half of each open chicken breast, place half of the spinach and SooFoo, and top with the Feta cheese. Fold the top half of the chicken over the bottom, and set aside. Brush one sheet of phyllo with the butter mixture, and top with the second sheet, repeating the process. Top with three additional dry sheets, and carefully flip the stack over. Place one stuffed chicken breast upside-down in the center of the dough, and gently fold the dough over to cover the chicken. Turn the chicken over and place in the prepared baking dish. Repeat with the second chicken breast. Brush the chicken with the beaten egg and sprinkle with the remaining Greek seasoning. Bake for 35 minutes, or until the center reaches 160 degrees.